Simon & Schuster Books for Young Readers, 9780689855665, 336pp. This year the mothers have a big surprise in store for Emma, Jess, Cassidy, and Megan: They've invited snooty Becca Chadwick and her mother to join the book club! But there are bigger problems when Jess finds out that her family may have to give up Half Moon Farm. In a year filled with skating parties, a disastrous mother-daughter camping trip, and a high-stakes fashion show, the girls realize that it's only through working together -- Becca included -- that they can save Half Moon Farm. 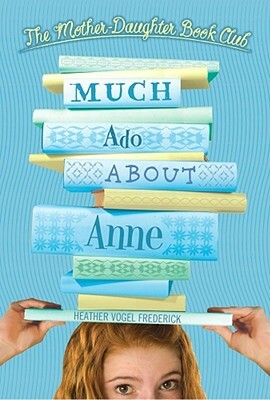 Acclaimed author Heather Vogel Frederick captures the magic of friendship and the scrapes along the way in this sequel to The Mother-Daughter Book Club, which will enchant daughters and mothers alike.